CustomChenillePatches.com would love to make your shopping experience as exciting as seeing your son or daughter achieve what they dream. We put as much time and care into our products and services as the athletes who adorn them put into their everyday struggle to achieve their goals. This is why we have had many thousands of satisfied customer’s throughout our more than 30 years of service. We have created designs and jackets for the likes of Nike, Adidas, Converse, Red Bull, Corvette as well as pro athletes around the world not to mention many thousands of amateur athletes everywhere. 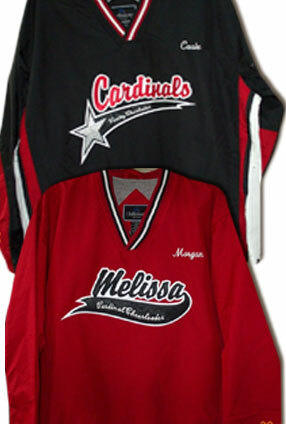 When you purchase your chenille and athletic varsity awards and letterman jackets from CustomChenillePatches.com you are buying the very best that the world has to offer. 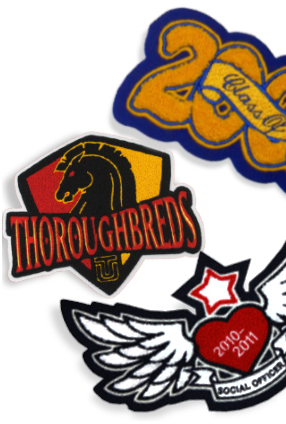 The following is CustomChenillePatches.com’s terms and conditions for ordering chenille patches, award patches and varsity letterman jackets. Please understand that the use of CustomChenillePatches.com’s website constitutes acceptance of all terms and conditions. These terms can be changed at any time without providing notice to you the customer. Most of our products are custom made to order just for you. This is the reason we are not responsible for incorrect color selection, misspelled words or phrases or incorrect sizing. We will do our very best to help you in any way possible if you discover an error in your order once it has been placed. Once any order has been placed and payment has been tendered you will be responsible for cancelation fees which include labor, bank fees, processing fees, etc. This charge will be equal to 15% of the total cost of the canceled order. Once any patch has entered production there can be no cancellations.